The theme this year is “Listening—even when you disagree.” Personal activities you can do to observe the International Day of Listening are suggested on the International Day of Listening website. Legal professionals who have 30 minutes at lunch may want to talk to a trusted colleague about their effectiveness as a listener. Or take 20 minutes for a meditative listening walk. The International Day of Listening has broader aspirations than helping lawyers recharge their batteries by listening to nature, collaborate effectively in the workplace, and do an excellent job representing individual clients—although all of these are excellent goals and high on the priority list for this blog. The International Listening Association’s broader aims with political dialogue raise far more difficult questions about listening and power. Part of a lawyer’s job is to listen effectively in difficult situations. All professionals in the legal industry should have experience listening in difficult situations. Ideally, these skills from the professional realm can serve beneficial purposes in public discourse. Before a math test, women test-takers reminded of their gender did worse on the test than a control group who took the same test without the reminder. This experiment forms a classic example of stereotype threat, which Professor Susie Salmon from Arizona Law spoke about at the recent Moot Court Advisors’ Conference held by the Legal Writing Institute. The problem is that the pressure to disprove a stereotype changes what you are about in a situation. It gives you an additional task. In addition to learning new skills, knowledge, and ways of thinking in a schooling situation, or in addition to trying to perform well in a workplace . . . you are also trying to slay a ghost in the room, the negative stereotype and its allegation about you and your group. You are multitasking, and because the stakes involved are high — survival and success versus failure in an area that is important to you — this multitasking is stressful and distracting. 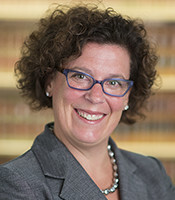 Professor Salmon explores more open forms of bias as well as stereotype threat in her forthcoming article on gender bias in moot court. Comments to female moot court competitors that their clothes or hair or bodies are distracting or they should make their voices deeper and lower all imply that the ideal of an advocate is male. For a moot court competitor, it’s hard enough to deal with nerves, deliver an organized argument, and answer the moot court judges’ questions. The burden of trying to “slay a ghost in the room” of negative stereotypes makes the competitor’s job that much more difficult. For professors and supervisors seeking to reduce stereotype threat, there are a number of possible mitigating steps. For one thing, comments about natural ability are actually not constructive. Legal skills are just that: learnable skills that can be built through work and focus. Thus, a “growth” rather than “fixed mindset” helps law students in myriad ways including with reduction of stereotype threat. Another method for reducing stereotype threat is to guide students through a self-affirmation exercise. Before you object, please know: this does not mean the Stuart Smalley-type affirmations about being good enough and smart enough and having people like you. Instead, it means writing about a core value you hold dear that makes you special. This type of writing reinforces the writer’s integrity. It also reduces stereotype threat. The theory, as Salmon outlines in the article, is that it provides the writer with a counter-narrative and interrupts the operation of the threat itself. Show that they have high standards. Provide personal assurance of their conviction that the students/externs/junior lawyers can meet these standards. Wise feedback is not just feedback, but mentoring over the long term. Not only does the wise mentor need to deliver wise feedback consistently, she needs to communicate to each student that she cares about that student’s success and believes in her capacity to achieve. Professor Salmon acknowledged that stereotype threat is a big topic. The resources below are a sampling of what’s being discussed on stereotype threat in legal education today. Killing time has never been easier, with smartphone settings that feed constant data and the average smartphone user checking it 85 times a day. But what exactly is being killed? How do we describe these moments lost? Kairos is the time of tactical appropriateness, of shifting priorities and objects of attention from one qualitatitvely differing moment to the next….It is a brief strip of right time, marked at its beginning and ending by turning points. In kairos time there are kinds of time that are apples and others that are oranges. There is a time when rain will fall from a cloud, a time to attack the enemy in battle, a time to negotiate a truce, a point that is qualitatively different in time from the time in kronos just before. Kairos can be a blessing or a weapon, according to Erickson, who summarizes meticulous moment-by-moment studies of various conversational settings, finding kairos moments of opportunity and of subtle and not-so-subtle power exchanges. A teacher tries to manage a group of students where a shy student continually loses her turn to a “turn shark” who incessantly interrupts. A medical intern and senior supervisor talk about an overdosed patient, with the supervisor offers a smile while implying the intern (who is African-American) might know something about buying illegal drugs. Using “hyperformality,” the intern refocuses the conversation with clinical language about the patient. These conversational studies were done years ago in the era of gas shortages and the Vietnam draft, but connections to today’s topics of gender-based “manterruptions,” cultural competence, implicit bias, and microaggressions cannot be missed. The mere presence of a phone signals that your attention is divided, even if you don’t intend it to be. It will limit the conversation in many ways: how you’ll listen, what will be discussed, the degree of connection you’ll feel. Few things are duller than a paragraph stuffed with dates. Instead, he shares a variety of techniques for connecting factual details into a series of meaningful moments. Although not using the terms chronos and kairos, Guberman shows how to play upon a reader’s conception of kairos, in the sense of “the right moment.” His examples show how a fact statement can suggest that certain events happened too slowly or too quickly—or that they shouldn’t have happened at all. Through their use of two words for time, chronos and kairos, the Greeks were able to view history as a grid of connected events spread across a landscape punctuated by hills and valleys. In chronos, the timekeeper-observer constructs a linear, measurable, quantitative accounting of what happened. In kairos, the participant-teller forms a more qualitative history by shaping individual moments into crises and turning points. From a rhetorical perspective, chronos is more closely allied with the narrative accounting for—how long? what next?—while kairos is the more metaphorical imagining as—at what point? in what space? So it’s the end of a year. It’s the end of 2016 specifically. It’s a moment of kairos time, or at least it could be—personally, professionally, socially, politically. For 2017, I propose a resolution: let’s not kill time. Choose someone to interview. Pick great questions. Find a quiet place to record. Listen closely. A 14-year-old in Georgia heard what it was like for her grandmother to go to bed hungry; students in Colorado heard one man’s experience of enlisting during the Vietnam War; and a teen in Louisiana found out that her grandparents got engaged at a drive-in movie. There’s no reason this endeavor should be limited to high school students. Really, it’s for anyone who wants to make a deeper human connection by listening to someone and helping them memorialize their story. And the interview need not be a Forrest Gump-like overview of historical moments. The ABA Mentorship Project has teamed with StoryCorps to record narratives on mentorship in the legal profession here. The University of South Carolina School of Law’s Pro Bono Program is partnering with StoryCorps to record lawyers’ and students’ stories related to serving the Hispanic community as well as advocating for LGBT clients. Outside the boundaries of required classwork, law students may not be able to record someone’s story in the stressful period between Thanksgiving and the end of final exams. But if finals end in mid-December, the holiday break is an ideal time to rest and recharge by listening to someone else. It builds interviewing skills and may help students clear their heads. More importantly, it creates a human connection and participates in StoryCorps’ mission of creating a more just and compassionate world. Lawyers like to think we are excellent listeners. We do it all the time; it’s at the core of our profession. As with any skill, good listening requires ongoing practice and development. But before you say you’re a good listener, determining this is not up to you, it’s up to the recipient of your listening. Yes, it was a casual conversation and maybe the attorney would not have said it to me had we been in a courtroom or meeting but she would have thought it. And it definitely affected how she listened to me going forward. It also distracted me as I couldn’t help but wonder what assumptions she was making about me because I’m from Kentucky and whether her perception of my competency had diminished. All it all, it diminished the authenticity of our communication. All of my life, I have been judged based on where I am from. You cannot see my ethnicity on my skin, but you can hear it. I carry it on my tongue, and I can no more get rid of it than anyone can change their skin color. The only way a person can open their mind and their heart is by opening their eyes and seeing that these differences make us stronger and that we are not as different as we might imagine. Only by serving others do we serve ourselves. Only by realizing the beauty of those different from ourselves are we able to realize our own beauty. Truth be told, I’m not “from Kentucky” because I was born in Philadelphia, Pennsylvania. My family moved to rural, southeastern Kentucky when I was 14 and it’s my home. Regardless of whether people are actually biased listeners, pointing out that someone has an accent basically says that the speaker is different and this difference matters. It certainly made me self-conscious of how I spoke and what I said. People have a natural affinity for others like themselves, and pointing out a difference reflects an implicit bias. Like it or not, we all have subconscious stereotypes that affect our unconscious beliefs and perceptions. Denying this only perpetuates the bias. Instead, by acknowledging that we make assumptions, we can challenge and start to change them. This is especially important for lawyers as effective communication is a basic tenet of our profession. While the type of communication may vary, one overarching fundamental legal skill is the ability to effectively assess and respond to the perspective of the recipient of the communication. This requires inclusive listening. Inclusive listening makes other people feel valued and understood. When listening to others most of us tend to assume we understand and we reach conclusions based on our point of view and our implicit biases. Inclusive listening doesn’t make assumptions. It requires one to actively engage in critical thinking: notice and question our assumptions, and recognize that assumptions are not truths. This is not easy to do. I know because writing this post made me quite aware of my habits as a listener. This past week I’ve made it a point to recognize that I have unconscious biases and started to challenge my assumptions (ex: don’t negatively categorize everyone under the age of 30 as a “millennial.”). I’ve made sure my non-verbal cues show respect for the speaker and I’ve worked on better engaging as a listener by affirming the speaker’s contributions and asking clarifying questions. Consciously engaging in inclusive listening has helped me realize that I’ve expected (maybe even demanded) it from others but wasn’t doing such a great job myself. For so long I’ve been on the other side and this helped me switch my point of view. If I want to be listened to, I’ve got to be an inclusive listener. On a broader level, for lawyers to be truly effective communicators, they must fully understand all aspects of a situation. The only way to gain this understanding is through inclusive and engaged listening.